*Application form is located at the bottom of the page. We are honored and excited that you are interested in being a participant in the 4th class of the ETCN Nonprofit Management Certificate. In today’s environment, nonprofits and those who work with them need to position themselves for success, and your involvement today is an effective way to evaluate yourself and your organization. The East Texas Center for Nonprofit’s Nonprofit Management Certificate Program is designed to advance your skills and knowledge through a non-degreed, in-depth learning experience. Each ETCN Nonprofit Management Certificate requires the completion of 7 full day courses representing 56 hours of learning, not including outside resources and e-learning opportunities. All participants have 2-years to complete the required sessions. *All sessions will take place from 9:00am to 3:00pm at: 911 S. Broadway Ave. Tyler, TX 75701. Participants learn best practices in the seven key areas of operating a successful nonprofit organization. Each area of study will be taught by industry experts and will include handouts as well as a list of resources compiled into a binder for each student completing the class. It is designed for professionals already engaged in the field, as well as for those in transition, who are seeking a valuable professional credential. Cost per session: $100/$700 for all completed certificate courses. *If you pay in full before the first session, (by Feb. 7th) you will receive a $100 discount totaling $600 for all completed courses. All certificate recipients will become alumni of the East Texas Center for Nonprofits (ETCN). This will grant ongoing discounts to all ETCN workshops and the opportunity to be part of an on-going networking and peer-to-peer learning opportunity facilitated by ETCN. At the end of this journey we are confident you will have strengthened your personal nonprofit management skills, competency, credentials, confidence and credibility. We also hope you will become connected to a group of peers who will continue to be a source of support. Please complete and return by Thursday, January 31st. *Because class size is limited to 20 participants, we recommend submitting your application as soon as possible. *This program requires a brief description of your nonprofit career goals in the form of a personal statement or brief essay describing these goals to be submitted with your application for participation. Once your application has been reviewed and approved, you will receive an email with a registration link for finalizing payment in order to complete your application process. Payments may also be made before each individual session. You can indicate which payment method you prefer after you receive your acceptance email. The application approval process may take up to a week. 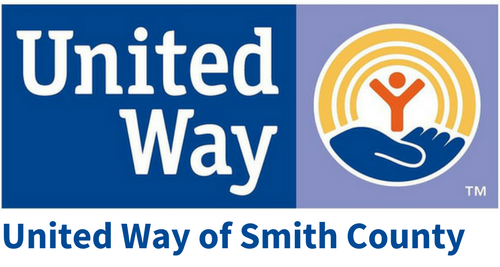 If you have any further questions you can email slamb@uwtyler.org or call 903-581-6376 x107.